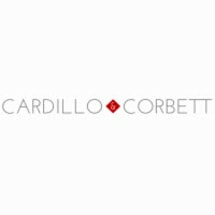 The law firm of Cardillo & Corbett was founded in 1952 and is located in the financial district of New York City, New York. There are six attorneys in our law firm who between them have many years of experience in providing a broad range of legal services for individuals and business clients not only in New York, but throughout the United States and worldwide. Our firm is a small, full service law firm, representing and advising clients in the areas of admiralty and maritime law and in general corporate and commercial matters. We assist our clients in all aspects of their businesses and represent them in all levels of state and federal courts. We are particularly proud of our fifty years of quality service to the international shipping industry and of our well established, solid reputation for attending to the full range of the legal needs and requirements of all parties engaged in the business of international shipping. We are not only a well known and respected admiralty and maritime law firm. Our attorneys are capable of providing legal services in many general corporate and commercial matters. Our clients also benefit from the fact that Cardillo & Corbett is a member of the International Law Firms ("ILF"), a network of law firms located in the major cities of the world, which provide full time legal services in a wide variety of legal areas. Our attorneys possess high professional credentials, are committed to the pursuit of excellence, communicate effectively and demonstrate the strictest personal and professional ethics as well as the utmost concern for our clients. We utilize state-of-the-art technology and cost-effective methods to provide services in a timely, client-oriented manner and ethical, friendly, and professional environment. Our approach focuses on each client's background, needs, and goals, and we are committed to reporting on cases regularly and to minimizing and eliminating risk by informing clients of significant changes in the law. Our dedication to quality, understanding of the law, trust and respect are the foundation for our long-standing relationships with clients.